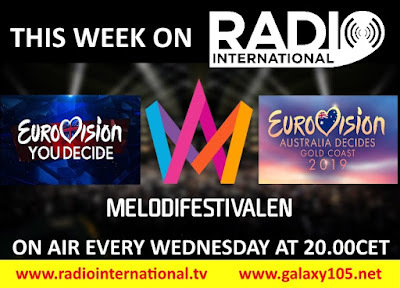 Join in this Wednesday 27 February 2019 live from 2000 - 2300pmCET for Eurovision Radio International this week. 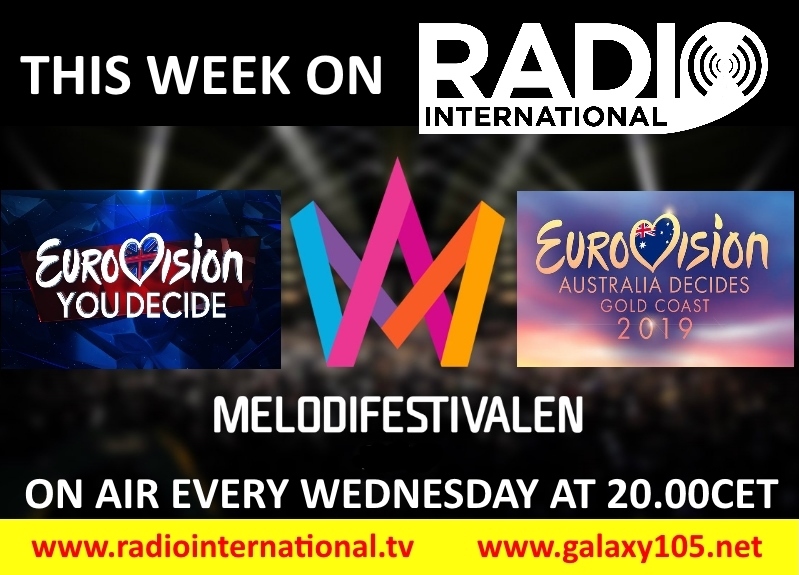 Melodifestivalen 2019 Interviews: This week is catching up time with some interviews with the artists from Melodifestivalen which is the selection process in Sweden for the Eurovision Song Contest where Sweden's entry is selected. 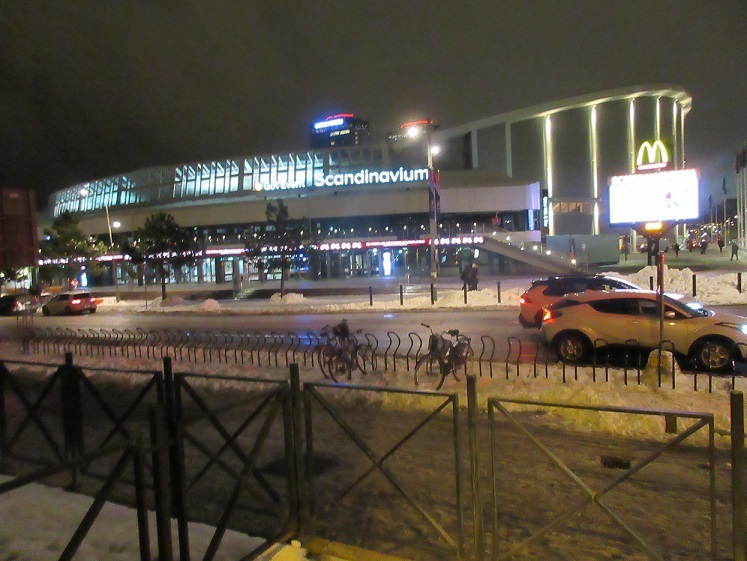 The first semifinal took place on Saturday 02 February 2019 in Gothenburg in the legendary Scandinavium Arena, where the Eurovision Song Contest 1985 took place with the Bobbysocks from Norway winning for Norway with "Let it swing". The Story continues: Eurovision Radio International was in Gothenburg and in addition to listening to the interviews on the show this week there will also be the chance to see the interviews on our YouTube Channel. Also there are a number of nice photos which you can view via this website: Melodifestivalen 2019 - Semi Final 1 - complete coverage. 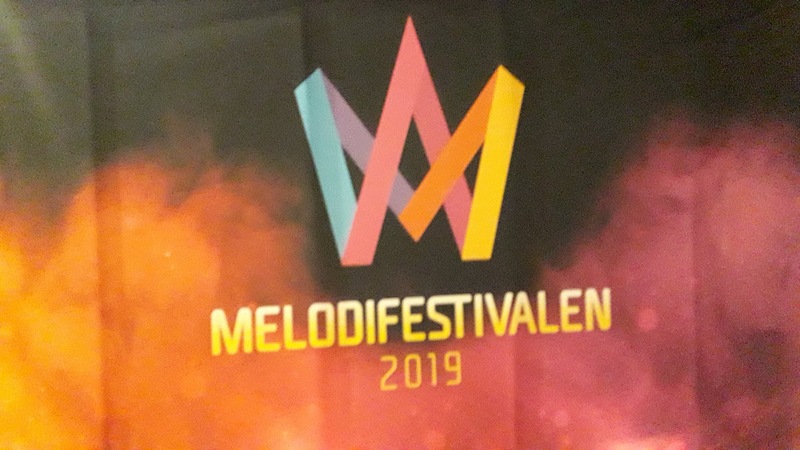 Salman Tanzem from Germany has attended Melodifestivalen 2019 Semi Final 2 in Malmoe, Sweden on 09 February 2019 and conducted short interviews with the artists from Semi Final 2 which we also have on the show this week - as the story continues :). 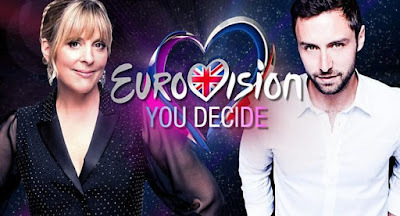 Plus there will be Eurovision News, Birthday File, Cover Spot, Calendar, Eurovision Spotlight and new releases by Eurovision artists. 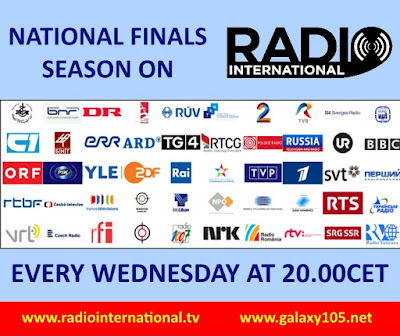 Join in this Wednesday 27 February 2019 live from 2000 - 2300pmCET for Eurovision Radio International this week. Due to technical difficulty the show as planned was not aired and the interviews listed below will be on the show next week. We do apologize the inconvenience this has caused. Melodifestivalen 2019: Catching up with interviews with artists from Semi Final 1 and 2: Wiktoria, Nano, High15, Andreas Johnson, Malou Prytz, Oscar Enestad, Jan Malmsjö, Vlad Reiser and Hanna Ferm with LIAMOO. Eurovision Legend Anne Marie David released Charity EP "From my Heart"
Eurovision Legend Anne Marie David took part twice at the Eurovision Song Contest and won it in 1973 with the song "Tu Te Reconnatrais" for Luxembourg. Then in in 1979, she represented her native France with the song "Je suis l'enfant soleil" which came third. More details of the Grand Dame de Chanson you can find HERE. 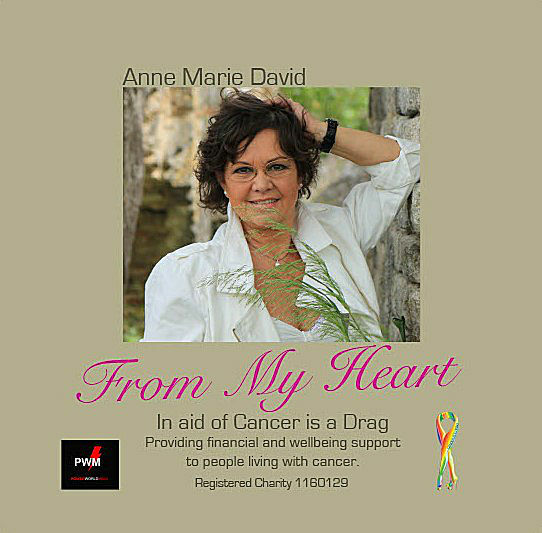 In February 2019, Anne Marie David has released an EP entitled "From My Heart". The EP is a three track mini album consisting of a new version of her Eurovision winning song "Tu Te Reconnatrais" written and composed by Claude Morgan and Vline Buggy. 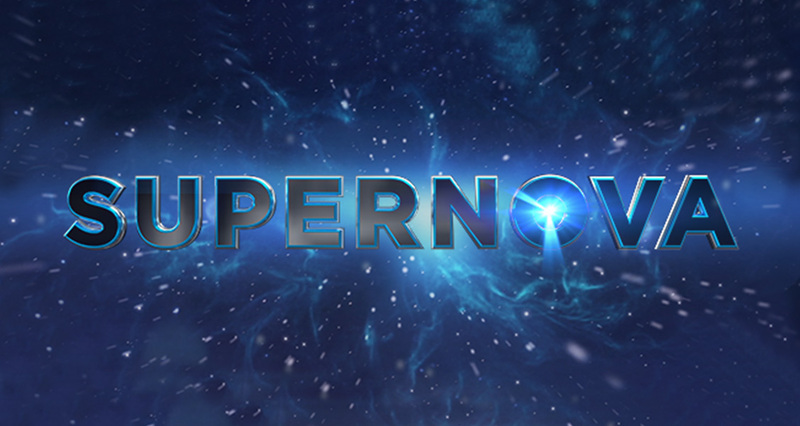 The song "You came to me" was written and composed by Tony Power from POWERWORLD PWM. There is also a special poem written by Rudyard Kipling called "If" which is a favourite of Anne Marie, with music composed by Jean Musy. This particular project is supporting the registered charity Cancer Is A Drag which provides support to people living with cancer. You can help those people in need by purchasing a copy of the EP for just £5 (Pound Sterling) plus postage. To purchase your copy, please contact info@cancerisadrag.org and you will be able to have a copy of the physical CD sent to you by Alan Bugg, the charity leading trustee. POWERWORLD is delighted to be working with Anne Marie on this project and releasing the CD. 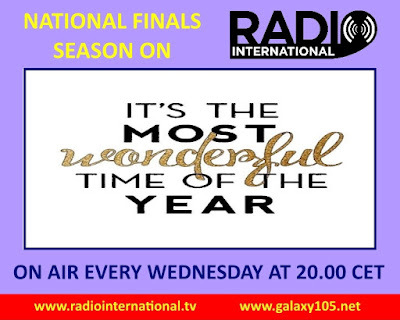 Join in this Wednesday 20 February 2019 live from 2000 - 2300pmCET for Eurovision Radio International this week. Melodifestivalen 2019 Interviews: Melodifestivalen is the selection process in Sweden for the Eurovision Song Contest where Sweden's entry is selected. The first semifinal took place on Saturday 02 February 2019 in Gothenburg in the legendary Scandinavium Arena, where the Eurovision Song Contest 1985 took place with the Bobbysocks from Norway winning for Norway with "Let it swing". Salman Tanzem from Germany has attended Melodifestivalen 2019 Semi Final 2 in Malmoe, Sweden on 09 February 2019 and conducted short interviews with the artists from Semi Final 2 which we also have on the show this week. 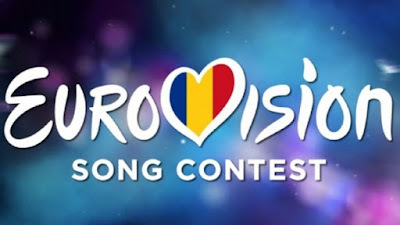 Romania's National Selection 2019 - Interviews: Romania's selection process to the Eurovision Song Contest 2019 took place Sunday, 17 February 2019 with Ester Peony winning the National Final and with that the right to represent Romania at the Eurovision Song Contest 2019 in Tel Aviv in Israel come May with the song "On a Sunday". Radio International's roving reporter Eric has been at the national final in Romania and conducted interviews with the winner as well with other participating artists. You will hear Ester on the show this week as well Ovi who is behind the entry from Olivier Kaye who Radio International had live on the show last week. 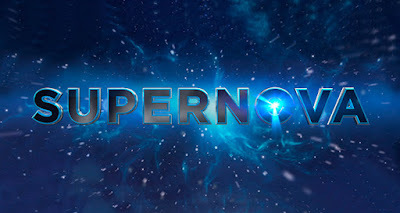 Latvia's National Final 2019: Latvia's selection process is called SUPERNOVA and the final took place on Saturday, 16 February 2019 with Carousel winning the ticket to represent Latvia at the Eurovision Song Contest 2019 in Semi Final 2 on 14 May 2019 with the song "That Night". 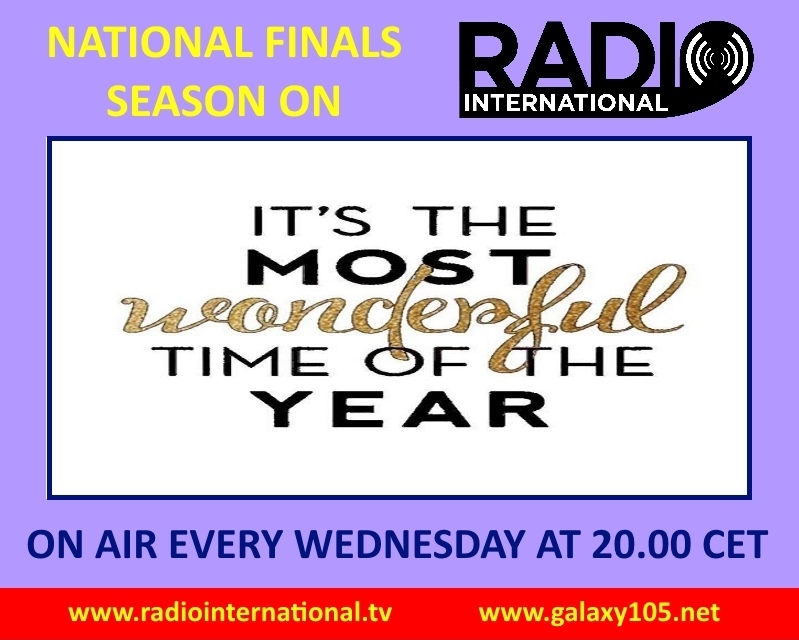 Radio International's roving reporter Eric, before continuing to Romania, interviewed the winners Carousel, Markus Riva, Samantha and Edgars which you will hear on the show this week. SuRie's Album Launch: SuRie, the United Kingdom representative at the Eurovision Song Contest 2018 with the song "Storm" turned 30 earlier on this week and what can be better than celebrating this ocassion with the release of SuRie's latest album "Dozen". Radio International's David Mann went to the launch of the album and interviewed Bjorn Dobbelaere who is the Managing Director of this ocasion. Plus there will be Eurovision News, Birthday File, Cover Spot, Eurovision Spotlight and new releases by Eurovision artists. 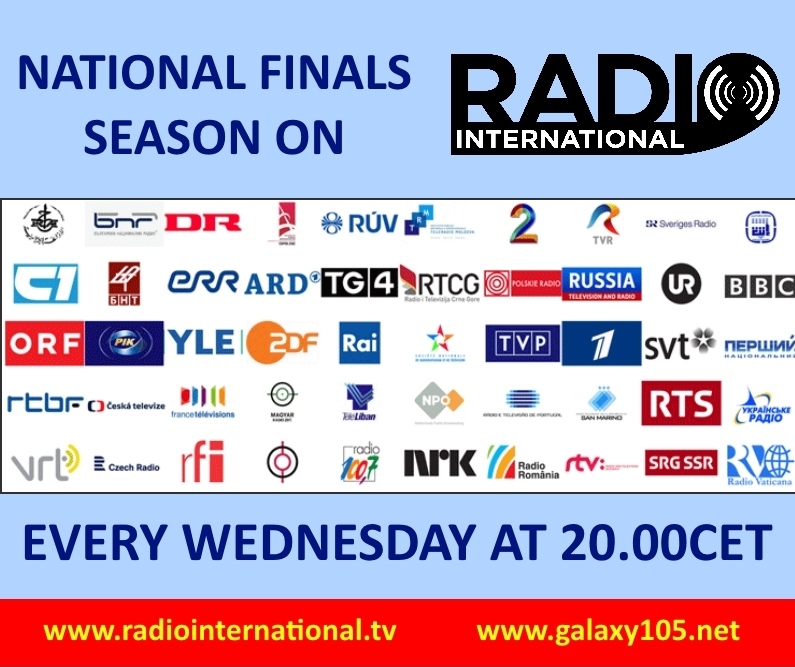 Join in this Wednesday 20 February 2019 live from 2000 - 2300pmCET for Eurovision Radio International this week. 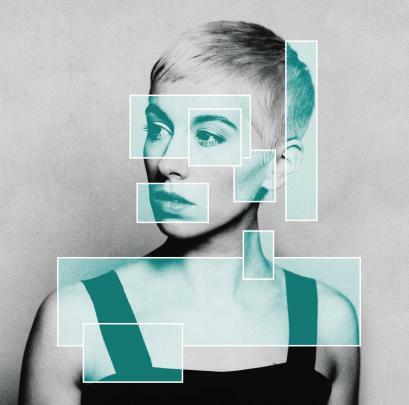 Album Launch: SuRie turned 30 earlier on this week and with her birthday her album "Dozen" was released. David Mann met the MD of the compain for an interview.